First of all, we would like to thank you very much for contacting Dressel Divers Headquarters/reservations dept. Our staff, which is located in Spain, will get back to you as soon as possible. Our dive centers are open 7 days a week but please note that our enquiries/reservations office is closed on Saturdays and Sundays. Please also take into account that we might have different time frames due to differences in our locations. 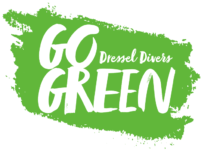 However, if your arrival date is less than 4 days from today and you need urgent assistance, please send us an email to assist@dresseldivers.com and we will get back to you as soon as we can. How do you benefit from using our reservation services? • You can enjoy a 10-20% discount if you book and pay before your arrival. • You can decide on site when to dive. • We will provide you with our personal recommendations as experienced divers, offering you our insider knowledge. • We will answer any of your questions before you travel. • We prepare you a personalized dive or snorkel package quote. We would love to assist you in planning your vacation!